This #mantramonday our mantra is: be present. Be present in conversation. Be present in small moments. Be present in the transitions of this season. Fall is a beautiful time of year, but it can also feel like a foreshadowing to the coming winter. This week, we want to encourage you to be present in all the beautiful things that fall has to offer, so every day we’ll be sharing a delicious seasonal recipe! 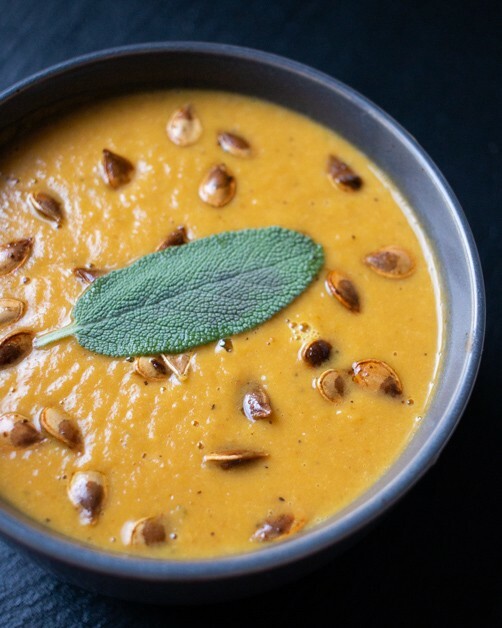 Pumpkin is an autumn staple, and our @cbdsuperfood pumpkin spice soup (topped with roasted acorn squash seeds) is the perfect cozy meal to balance out that fall chill! 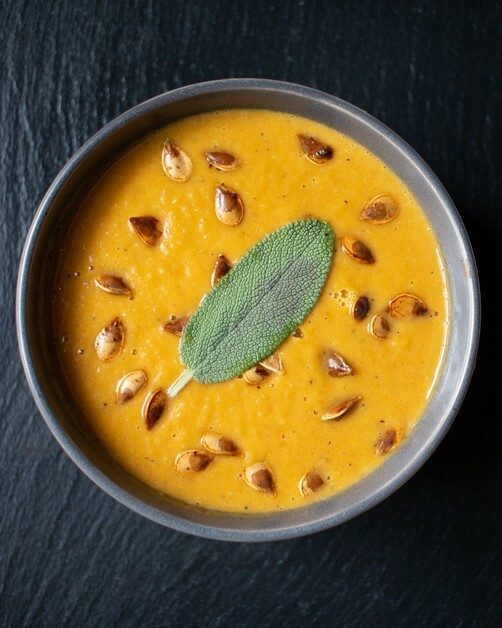 Enjoy this recipe below (and stay tuned for our upcoming @cbdsuperfoodroasted squash seeds recipe!). In a large pot, sauté diced onion and garlic in olive oil. Once the onion is soft, rinse the cannellini beans and add rinsed beans to the pot. Cook for an additional 3–5 minutes. Add vegetable broth and can of pumpkin puree. Add salt and pepper to taste. Cook on a low simmer for 20 minutes, stirring occasionally. Once cooked, carefully transfer hot soup to a high speed blender and add in CBD Golden Spiced Ghee. Blend until creamy, and serve.